As the Roman Empire expanded its boundaries out from the Seven Hills of Rome, it was quite willing to view the gods of other people as their own gods by different names. As the majority of Greek mythological tales predated the rise of the Roman Empire, a process of interpretation graeca occurred, where Roman theology took most of the gods from the Greek pantheon and transferred their mythologies onto their own gods. 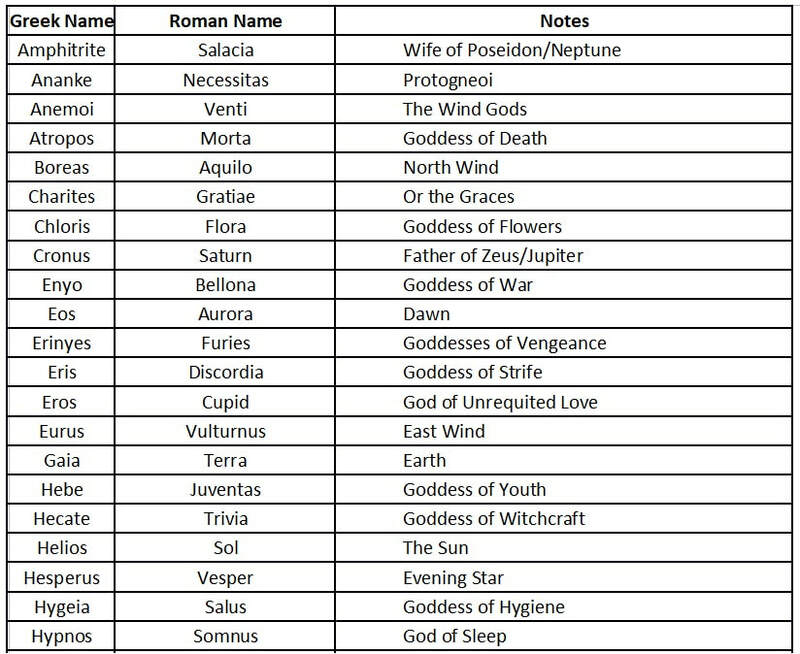 ​When it comes to the main twelve, or fourteen, gods of the Greek pantheon, the names of their Roman equivalents are almost as famous; and of course Apollo is known by the same name in each pantheon. ​Alongside the Gods of Mount Olympus, Hades is the most famous deity of the Greek pantheon. It is most commonly stated that Pluto was the Roman equivalent of Hades, but an argument can be made against this association. Hades, as the God of the Underworld, has two equivalents in the Roman pantheon, for both Orcus and Dis Pater were Roman gods of the Underworld. Pluton was a name given to Hades by those not wishing to say the name Hades out-loud, and referred to Hades’ role as Giver of Wealth for precious metals came from his domain; there was though also a son of Demeter called Plutus, who was regarded as God of Wealth. Thus the Roman Pluto could be regarded as the equivalent of Pluton or Plutus.